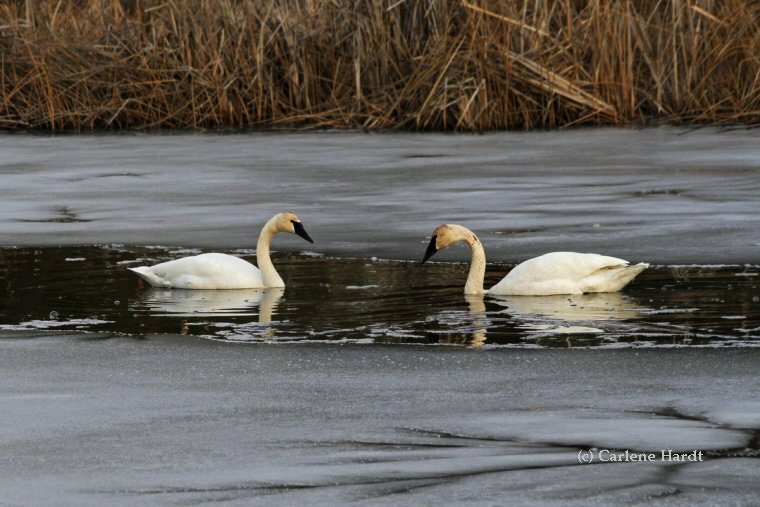 My Swan Story by Carlene H.
My husband and I went out to Turnbull National Wildlife Refuge in Cheney, Washington on Saturday February 2nd because it was a warm 40 degrees and in the next few days we were going to be in the deep freeze! 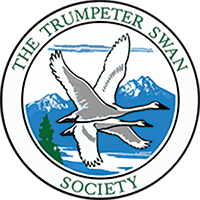 As soon as we walked up the trail, we heard the powerful flapping of wings overhead and then looked up and saw a pair of Trumpeter swans flying in and landing near us on Middle Pine Lake. They preened a little bit and then swam around to eat. Parts of the lake were frozen but most of it was not. There were times when the sky was blue and it made you forget it is winter! I stood still for awhile and they got very close. It was nice to see such loveliness in winter. "The provincial minister of Forests, Lands, Natural Resource Operations and Rural Development made the comment in a press release announcing that the wetlands just north of Duncan are the province’s newest wildlife management area. “Wildlife management areas help to meet government’s mandate to sustainably manage B.C.’s ecosystems, rivers and lakes, as well as improving wildlife management and habitat conservation,” Donaldson said. Adam Janke, Assistant Professor - Natural Resource and Ecology Management at Iowa State University, explains the persistent challenge of mitigating lead poisoning in wildlife. There are several resources with further information at the end of the article.